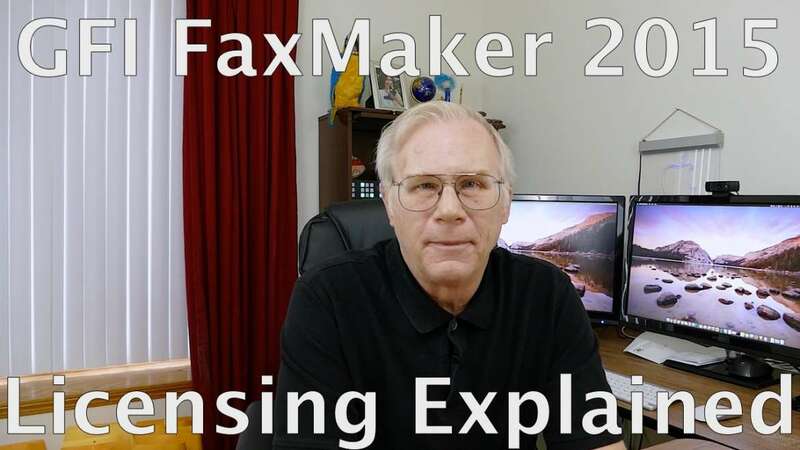 GFI FaxMaker 2015 requires a license for each user sending/receiving faxes. The most basic license supports up to 5 users and 4 fax lines. Pricing is tiered The ranges are 5-9,10-24,25 to 49,50 to 99, 100 to 249 and there is an unlimited user license available. New licenses come with software maintenance between one to three years at time of purchase. GFI FaxMaker 2015 comes with support for up to 4 fax lines (fax channels). However this may not be adequate for your needs. You can purchase additional fax line support in increments of 1 to 11 to increase your capability. Additional fax channel support comes with software maintenance between 1 to 3 years at time of purchase. The optional OCR (Optical Character Recognition) routing module is a robust addin that can read a fax and route it to the appropriate staff member. This license is available with 1 to 3 years software maintenance at time of purchase. GFI FaxMaker 2015 permits an additional server license for businesses that want a FaxMaker server for load balancing and or fail over purposes. This license is available with 1 to 3 years software maintenance at time of purchase. GFI can provide fully tested fax hardware such as a Dialogic TR1034 faxboard, or the entirely software based SR140. These products can be licensed with FaxMaker with 1 or 3 year maintenance and support.